Latin American government angry over Israeli ambassador's criticism of Chancellor's declaration Tel Aviv is capital of Israel. JTA - The government of Uruguay slammed Israel’s ambassador for using social media to criticize a statement by the country’s chancellor that called Tel Aviv the capital of the Jewish state. “Surprised and disappointed to hear the chancellor declaring that Tel Aviv is the capital of Israel. Capaz Salto is the capital of Uruguay? Israel has a capital, Jerusalem, for 70 years. The Knesset, the ministries, the residence of the Prime Minister and the President, the Supreme Court, are there,” Nina Ben-Ami tweeted in Spanish in her personal account on Dec. 7. Montevideo is the capital of Uruguay. The ambassador was summoned to Uruguay’s Ministry of Foreign Affairs headquarters “in order to provide explanations on her comments,” the ministry announced. Ben-Ami was urged “to maintain government exchanges through the corresponding official channels”, reported the Aurora news website. 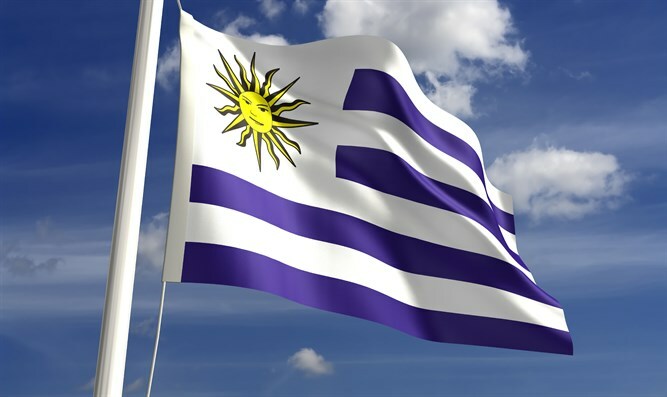 The Uruguayan position was transferred to Ben-Ami “within the framework of the traditional relationship of friendship and cooperation that unites” both countries, details the ministry’s statement. Ben-Ami posted her comment also on her personal account on Facebook, where she added more information. “Exactly one year ago, during this same week, the [Uruguyan] chancellor was in Israel on an official visit. He had meetings in Jerusalem with the prime minister in his office, and in the Knesset, the Israeli parliament, with minister Michael Oren. For promoting peace, we must not kill the truth. When the Palestinians start to see the reality of Israel, as a neighbor and not as something artificial that can disappear, the possibility of building real peace will be even stronger,” she wrote in the post. “Jerusalem has been the capital of the Israeli people for 3,000 years now. Before there was Christianity or Islam. Before London, Berlin or Paris existed, there was Jerusalem. Jerusalem has been the capital of the State of Israel for almost 70 years. No statement from any leader will change that fact. Better know it,” she added. The Uruguayan Foreign Ministry expressed its “concern and discrepancy” with the decision of the United States to recognize Jerusalem as Israel’s capital city and move the embassy from Tel Aviv to Jerusalem. The decision “does not contribute to the essential climate of peace and mutual respect necessary to reach a just, complete and lasting solution in the Middle East,” the ministry declared. In October, a Uruguayan Holocaust memorial rededicated last year was vandalized with anti-Semitic graffiti minimizing the Holocaust. Uruguay is home to some 12,000 Jews, according to the Latin American Jewish Congress. It was the first country in South America to officially recognize Israel.